TDI-Brooks International, Inc. said it has been awarded an interagency five year, multimillion dollar study focusing on the exploration and investigation of deepwater biological communities located in U.S. federal waters of the northwest Atlantic Ocean, potentially including offshore Virginia, North Carolina, South Carolina and Georgia. The study, entitled “Deepwater Atlantic Habitats II: Continued Atlantic Research and Exploration in Deepwater Ecosystems with Focus on Coral, Canyon and Seep Communities,” is being funded by the Bureau of Ocean Energy Management (BOEM), the National Oceanic and Atmospheric Administration (NOAA) Office of Ocean Exploration and Research (OER), and the U.S. Geological Survey (USGS). The program focus is on hard substrate habitats, with some work related to soft bottoms and within the water column also included. Approximately 18 days of ship time for the initial cruise in 2017 and up to 24 days for each of the subsequent research cruises in 2018 and 2019 aboard NOAA-research vessels (e.g. NOAAS Ronald H. Brown), will be provided to the program by NOAA OER. 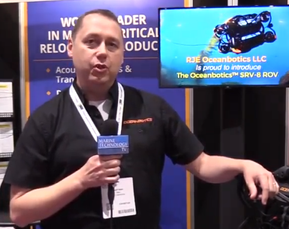 A remotely operated vehicle (ROV) or autonomous underwater vehicle (AUV) will also be available from NOAA OER for all three cruises. 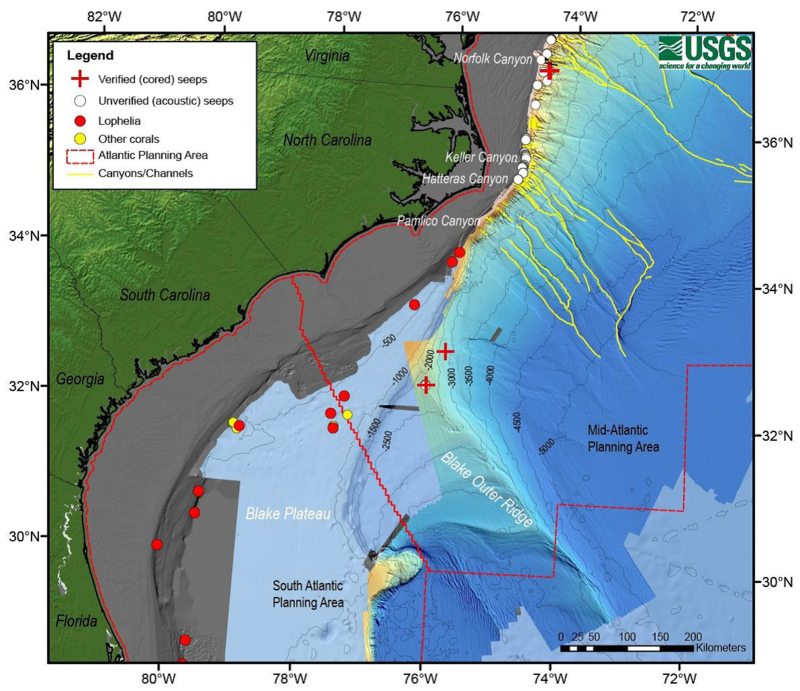 The overarching goal for this project is to augment the ability to predict the location of seafloor communities within the study area that are potentially sensitive to natural and anthropogenic disturbances. This area encompasses a variety of different habitat types, including canyons, hard-bottoms, cold-water coral mounds, methane seeps, and soft sediments. Below are a series of objectives to develop this predictive capacity, starting with an improved understanding of the distribution, structure, and function of the communities associated with each habitat type. The Deepwater Atlantic Habitats II program will be the third major federal research program that TDI-Brooks International has led over the last decade. Previously, the LopheliaII and Chemosynthesis III programs were major, multi-year federal programs won by a coalition of partners, many of whom are also principals in this effort. The TDI-Brooks team consists of scientists from Temple University, University of Georgia, Nova University, Florida State University, Harvey Mudd College and University of New Hampshire as well as experts from numerous international universities.